Botulism is a rare but serious paralytic illness caused by botulinum toxin, which is produced by the bacterium ''Clostridium botulinum''. The toxin enters the body in one of four ways: by colonization of the digestive tract by the bacterium in children (infant botulism) or adults (adult intestinal toxemia), by ingestion of toxin from foodstuffs (foodborne botulism) or by contamination of a wound by the bacterium (wound botulism). Viruses plague bacteria just as viruses like influenza plague humans. Some of the largest of these so-called bacteriophages have now been found in the human gut, where they periodically devastate bacteria just as seasonal outbreaks of flu lay humans low, according to a new study led by University of California, Berkeley, scientists. The neurologic effects and treatment options for exposure to biologic and chemical agents are outlined in a newly published article by neurologists from the University of Colorado School of Medicine who collaborated on the article with military physicians. A team of ear, nose, and throat specialists has demonstrated that eating honey after swallowing a button battery has the potential to reduce serious injuries in small children. In a discovery that points to potential new antibiotic medicines, scientists from Rice University and the University of Michigan have deciphered the workings of a common but little-understood bacterial switch that cuts off protein production before it begins. A new source of the botulinum neurotoxin was discovered by Canadian and American scientists in a strain of animal gut bacteria known as Enterococcus faecium. Researchers from the Quadram Institute have identified genes encoding a previously undiscovered version of the botulinum neurotoxin in bacteria from a cow's gut. During World War II, the Soviet Red Army was forced to move their biological warfare operations out of the path of advancing Nazi troops. Among the dangerous cargo were vials of Francisella tularensis, the organism that causes tularemia and one of the world's most infectious pathogens. They undertook a modelling study based on six states in the US in areas that are at risk of Zika emergence. The main finding of this study was that the total cost of Zika in these sates had a range that went from approximately 183.4 million dollars to 1.2 billion dollars. Botulinum neurotoxin is probably best known to Americans as BOTOX, a cosmetic medicine, rather than as a cause of potentially dangerous foodborne illnesses. Many know Botox as a trendy way to get rid of wrinkles, but the popular drug — made from botulinum neurotoxin (BoNT) — can do more than just fill lines. The botulinum toxins are among the deadliest substances on Earth, and two specific toxins — including the popular drug Botox — have multiple uses for treating many neuromuscular conditions, including frown lines, disabling muscle spasms and migraine headaches. A biopharmaceutical company collaborating with Hawai'i scientists on an Ebola vaccine announced encouraging news about its vaccine today. Researchers at Vanderbilt University Medical Center have obtained the crystal structure of a toxin from the bacterium Clostridium difficile ("C. diff") -- the leading cause of hospital-acquired diarrhea in the United States. 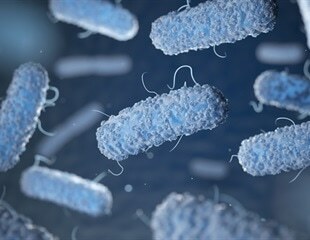 Scientists at the U.S. Department of Energy's Brookhaven National Laboratory and collaborators at Stony Brook University and the Institute of Advanced Sciences in Dartmouth, Massachusetts, have discovered new details about how "cloaking" proteins protect the toxin that causes botulism, a fatal disease caused most commonly by consuming improperly canned foods. Researchers at Texas A&M AgriLife Research have developed a new technology to determine sensitivity or resistance to rabies virus. In Canada, honey is the only food which has been linked to infant botulism – a rare but serious illness that is caused by ingesting the bacterium C. botulinum. The current method to treat acute toxin poisoning is to inject antibodies, commonly produced in animals, to neutralize the toxin. But this method has challenges ranging from safety to difficulties in developing, producing and maintaining the anti-serums in large quantities. Federal government labs in Atlanta were temporarily shut after it was discovered they had improperly sent potentially deadly pathogens, including anthrax, botulism and virulent bird flue virus, to other labs. Today's headlines include coverage of Medicare, the health law and veterans' care policy issues as well as reports from the campaign trail.